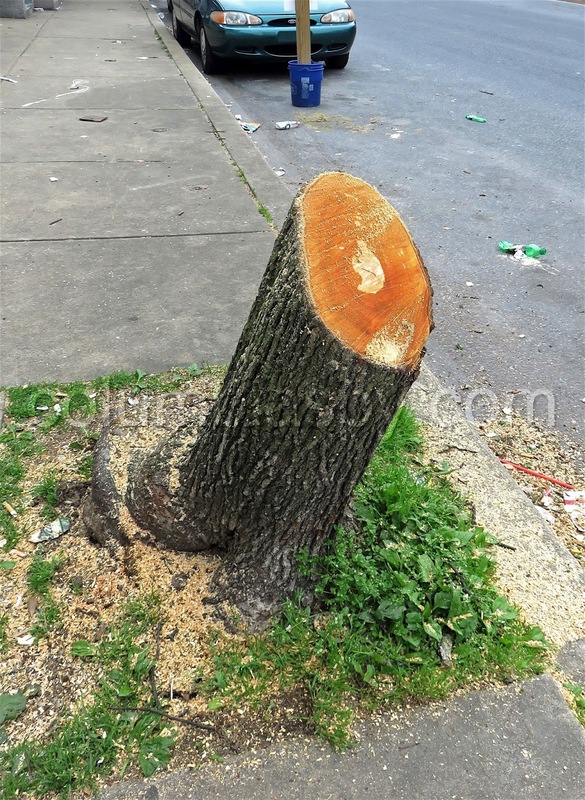 A damaged tree that was leaning against utility wires was cut down today. 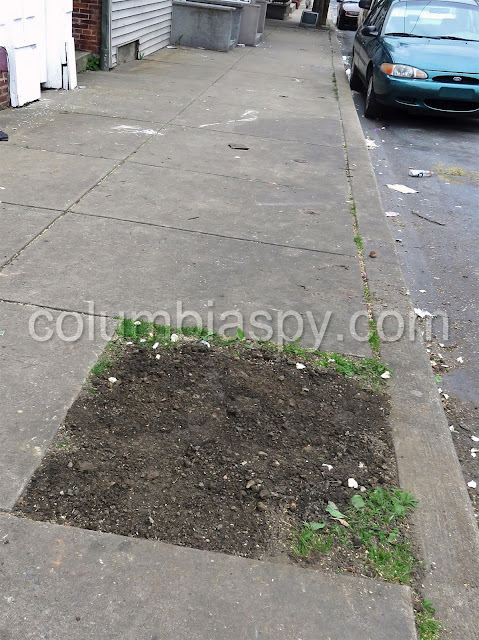 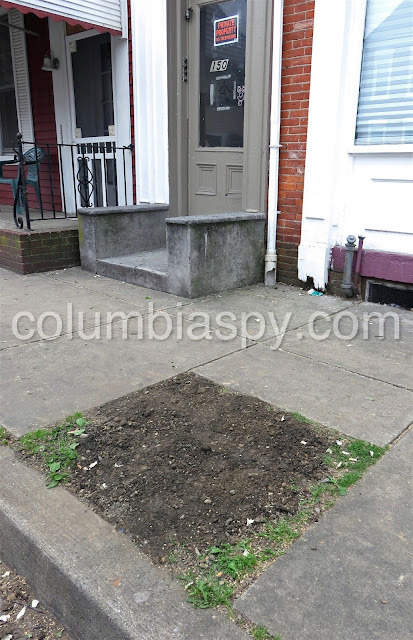 The Bradford Pear tree had been partially uprooted along the sidewalk near 150 South Fourth Street and created a public safety hazard, as reported yesterday on Columbia Spy. The majority of the job was completed before noon, and the remaining stump was removed mid-afternoon. Too bad, but it looked like deliberate damage to the trunk of this tree. 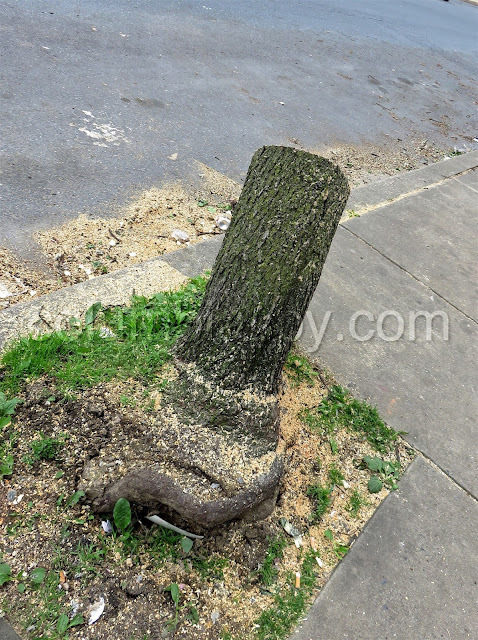 Perhaps it was pushed on when newly planted to uproot and lean it like that? Seems odd.